Food waste is unavoidable. 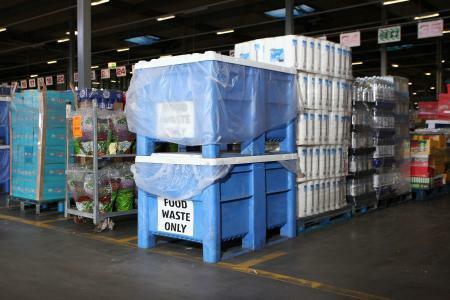 Aldi has more than 700 stores,which like all others, must manage waste food disposal. Wherever possible, Aldi donates food still suitable for human consumption to the FareShare charity. Inevitably there is some food that can't be consumed because it is past its use-by-date and Aldi collects this waste food to make biogas to generate electricity for the National Grid. After a pilot trial last year, run from the Atherstone distribution centre, Aldi rolled out its programme nationally following a launch in March 2013. 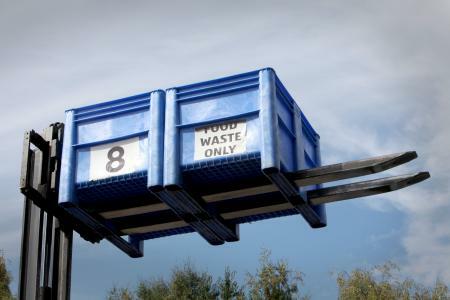 Using Dolav plastic pallet boxes the food waste is transported back to Aldi distribution centres and forklifted into trailers. When full, the trailers take the load to a depackaging centre and the food waste goes to an anaerobic digester. There, it is fermented into biogas and the residues are used as farm fertiliser. For Aldi, there is a cost associated with this process. It is environmentally responsible and it contributes towards Aldi achieving its zero landfill objective. Aldi removes food waste on a daily basis. 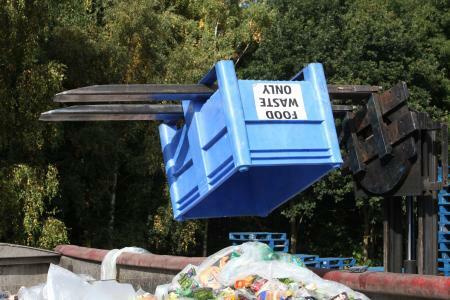 Empty Dolavs with polythene liners are delivered each day by supply vehicles. The stores put their organic waste in to these empty Dolav containers which go back on the supply vehicles' return trip. For the UK stores there are four Dolavs each, making for a 'fleet' of some two thousand Dolav pallet boxes in circulation every day. AIdi uses the Euro pallet-sized Dolav 800x1200. An Aldi spokesperson said: "As a responsible retailer, we are always looking for ways to continue to be environmentally friendly. The Dolav boxes are solid and do not leak, they are very easy to wash and keep clean. They are robust - the modular one-piece moulding design means they don't break and the Euro-pallet size fits our systems."